This week marks – what I believe is – the eighth annual Hope Week. During Hope Week the Yankees have many of their players attend many wonderful charitable causes for the underprivileged. Thru the years, there have been some great stories that would make people proud of the love and care the Yankee organization has shown the great city of New York. Hope Week is the brainchild of Yankees P.R. Director Jason Zillo. He has come up with some great stories of people in all sorts of life turmoils, and with the help of the players, has helped make there lives better. This seems to be a page right out of the George Steinbrenner play book, because The Boss believed that every day was hope week. Steinbrenner was attending a funeral for a slain police officer in New York City. He stared at the widow and then he got extremely sad when he saw the children. He turned to his dear friend and business associate Jim Fuchs, the great Olympic shot put champion, and said we have to do some about this. This is how the Silver Shield was formed. In Tampa they have the Gold Shield. These foundations help the children of police officers and fire fighters killed in the line of duty, with their education. Thank God for these foundations because, unfortunately, many of these civil servants have lost their lives and many of these kids received an education thanks to the help of the Silver and Gold Shield. When it came to the truly less privileged, people close to The Boss knew that he had a very soft place in his heart for them. Whenever he did something nice, we were never allowed to talk about it. I remember one time I drove to Miami with him from Fort Lauderdale and he helped out a poor family that was in trouble financially. He had known the man from one of his schools. This was back in the 1970s, so I can’t quite remember the details except that the wife was so happy that they were not going to lose their home. The thing that I found so beautiful was that they were a black family. At this stage in my life, it showed me that blacks and whites could really help each other. For me, it was a very important lesson in my life at that time. On our drive back I mentioned how happy he made them and he made me promise not to mention this to anyone. This was not the only time I saw him do something like this and then make me swear not to mention it to anyone. Another time, he was coming out of a medical building on Martin Luther King Blvd. in Tampa and he passed a lady with a kid with that I believe had M.S. She had a really beat up van that was suppose to transport the kid around. The Boss wrote down the license plate number and found out about the lady with her family. He called the local Ford dealer that he knew and had a special van made for the lady so that life would be a little better for their family. Oh, and I swore not to tell anyone. There were so many stories and I guess that’s why I will always be so proud to of worked with him in such a close capacity. I also know that he is looking down at his kids and people in the organization and is very proud of the things he used to do in a very quite and private way is being done in a very beautiful and prideful way. I used to say to The Boss that when people see all the good things that you do they will want to do the same thing, especially the truly influential people of this country. He use to tell me that you don’t have to be rich to be able to help thy fellow man. You just have care. He was always right about that. Congratulations to Jason Zillo and the organization for this wonderful week ahead. All players that participate in Hope Week always become better people because they never forget they can do great things off the field too. This year marks the 40th anniversary of the 1977 New York Yankees. That iconic team was George Steinbrenner’s first World Championship ball club. Some very colorful players wore the Yankees pinstripes that year. Their captain Thurman Munson, Sweet Lou Piniella, Bucky Dent, Willie Randolph, Mike Torrez, Roy White, Ed Figueroa, Fred “Chicken” Stanley, Graig Nettles, Ron Guidry, Chris Chambliss and the list just goes on and on. This was a team that fought with each other off the field but like brothers, come game time, they would get together and just could not be beat. At the Third Annual Hank’s Yanks Golf Outing on June 5th, two players from this incredible team will be honored, Mick “The Quick” Rivers, who was truly the team catalyst and arguably the greatest leadoff hitter in the history of the New York Yankees and of course “Mr. October” Reggie Jackson who probably performed the greatest feat in World Series history when he hit three consecutive home runs on three pitches against the Los Angeles Dodgers that October evening in the Bronx. Not everyone knows that Thurman Munson is actually the one who gave Reggie the name “Mr. October” It was after the game when Thurman walked by his locker and said, “You sure put on a hell of a show Mr. October.” And the nickname was born! Mickey Rivers will be receiving “The Pride of Hank’s Yanks Award.” This award is given to the person who always reaches out to the youth of the city. Mickey Rivers has always been that person- always there for the kids. The same way Hank Steinbrenner reached out to the kids of the city when he started Hank’s Yanks. 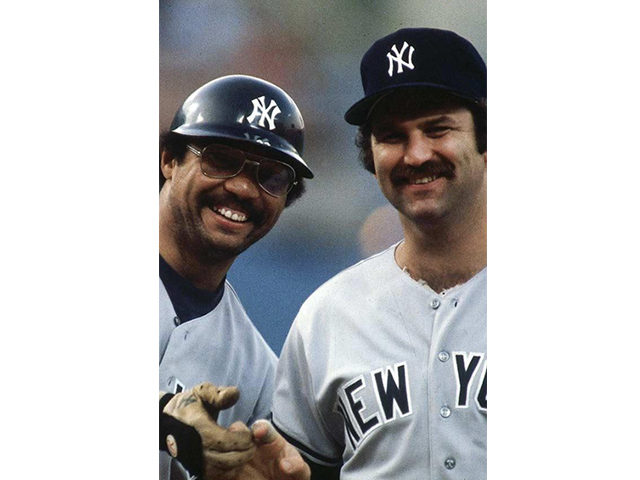 Reggie Jackson will be receiving the “Boss Award” named after the late Yankees owner George Steinbrenner and like “The Boss” if you really know Reggie Jackson than you know his great heart. This day is dedicated to all those that we have lost including Jim “Catfish” Hunter, Paul Blair, Jim Spencer, and of course our fiery manager Billy Martin and the man whose passion to win helped put it all together, George M. Steinbrenner lll. Hanksyanksgolf.com for information about attending the event. On the weekend that the NY Yankees honored Derek Jeter, ESPN 1050 Impact staged their radio program at the McDonald’s Restaurant across the street from Yankee Stadium. This was the same McDonald’s that Thurman Munson used to eat his two cheeseburgers everyday before games at the old Yankee Stadium. If he didn’t stop there to buy them himself, when I was the Yankees batboy and walked into the clubhouse, Thurman used to scream out “Ray two cheesies” and I would run like a madman across centerfield and through the back gate across River Avenue right to the McDonald’s still in uniform. The guy behind the counter knew exactly what I wanted and would throw the burger and fries at me because he knew they were for Munson. On days when he got to the ballpark early he would stop by the McDonald’s himself and buy cheeseburgers for the kids. On this day, through ESPN Impact hosted by Felix DeJesus, Savier Lebron and myself, we set up our show on the McDonald’s Plaza where Thurman used to sit and did our program right there. We honored the former captain and Tony Rodriguez brought out a ton of cheeseburgers and handed them to all the people there. 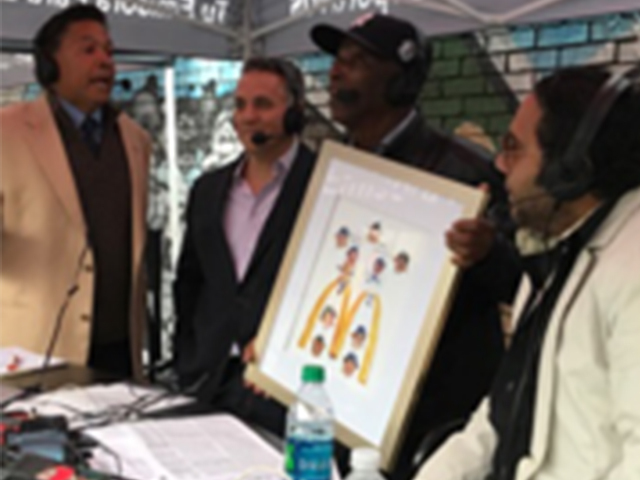 Mickey Rivers came over to represent his former teammate and presented a painting of Thurman and some of his teammates eating cheeseburgers that was done by sports artist John Pennisi. Tony Rodriguez will unveil it during Oldtimer’s Day weekend when Thurman’s wife Diane and Bobby Murcers’s wife Kay are in the neighborhood to see it for the first time. Thurman Munson was just one of those good souls that many of the fans just don’t want to forget. There were actually some of us oldtimers there that remembered when Thurman used to sit in that McDonald’s and some were actually brought burgers by the cool Mr. Munson. The McDonald’s Plaza was wall-to-wall people. All in all it was a fun time for the people that wanted to remember the legacy of Thurman Munson. On Sunday, ESPN Deportes dedicated it’s broadcast totally to the last Yankee captain Derek Jeter. The guests included Tony Orlando, Chazz Palminteri, Jose Feliciano, Richard Gere and Billy Joel’s band mate Richie Cannata. It was appropriate that the last two Yankees captains would be remembered at this time. Leaders that were loved by the fans, by their teammates and at the same time led their team to glory. The youngsters in the park were in complete jubilation and enjoyed the great festivities the Yankees held for the no. 2 jersey retirement that belonged to the captain Derek Jeter. And outside the park at the McDonald’s, the hundreds of kids who could not go inside the stadium had a great time celebrating the legacy of their adopted home boy Thurman Munson the first Yankees captain since Lou Gehrig. I am proud to say, in 1969, I attended Mickey Mantle Day. It was incredible to say the least. Joe DiMaggio was there with many others. That day Mantle had his number retired and a plaque placed in centerfield. He in turn presented DiMaggio with a plaque that Mantle said would have to hang a little higher than his. Today, Derek Jeter goes into monument park and his number is retired. 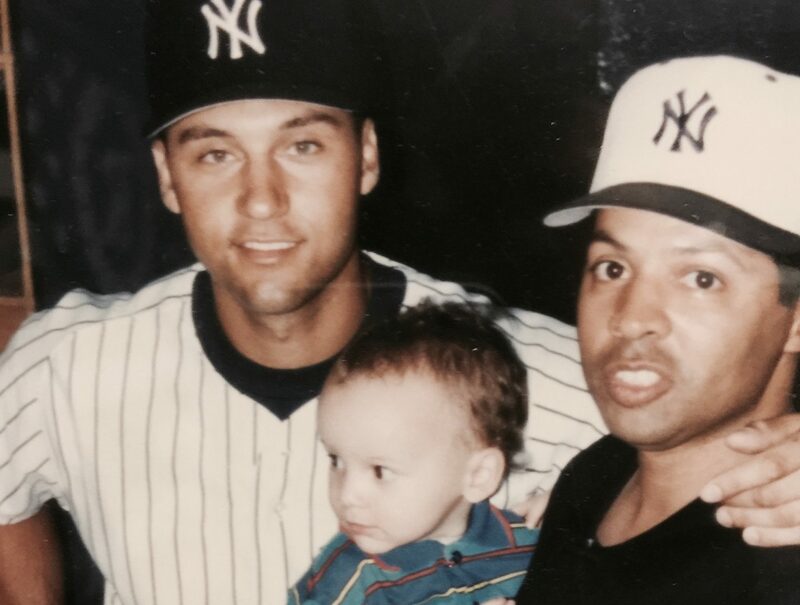 In 1996, George Steinbrenner assigned me the duty of mentoring Jeter, because he was a rookie. We were inseparable that season. He even ate spaghetti at my home with my kids who loved him. After the World Series, he gave me a baseball that said, “Thank you for your help this season, I couldn’t have done it without you.” Even though he could have made it without me, I thought the gesture was very nice. The following season he asked me why we hadn’t hung out that much and I told him, “Because you don’t need me anymore. You are more mature than most rookies I have seen come up.” I could talk about Jeter all day but that would be called a book! To say that I am close to Jeter would be a lie, however I am close enough to say that like Bobby Murcer and Thurman Munson, Derek Jeter did it right and I am glad that the fans appreciate him the way that they do. I asked some of my celebrity friends to give me a quote or two about their feelings for Jeter. I hope you enjoy them. I want to wish Derek Jeter congratulations on a great career. Thank God for making you a Yankee! Congratulations on your day! You were a big part of my son growing up–thank you and enjoy your retirement! Derek! I want to send a shout-out to you and your family from my own family and me on this extraordinary day!! When I heard about your celebrating today, not only your own accomplishments as an athlete, but also in honor of your family, especially your Mother, I just smiled because it so exemplifies the kind of person you are. It’s an honor for us to have been on this planet during the time of your professional career to witness, first hand, your talent as a player and your character as a human being. God bless you and thanks for the memories! It’s the only time the number 2 is number one!!! Only Jeter can accomplish that! I will “tie a yellow ribbon around the old oak tree” for you. Congratulations on your storied career. I am glad that I was able to be a small part of it when I caught number 3000. Thank you for putting respect back into sports and to our children. The Pride and dignity that you always showed in being a Yankee will always be appreciated by my family and the organization. 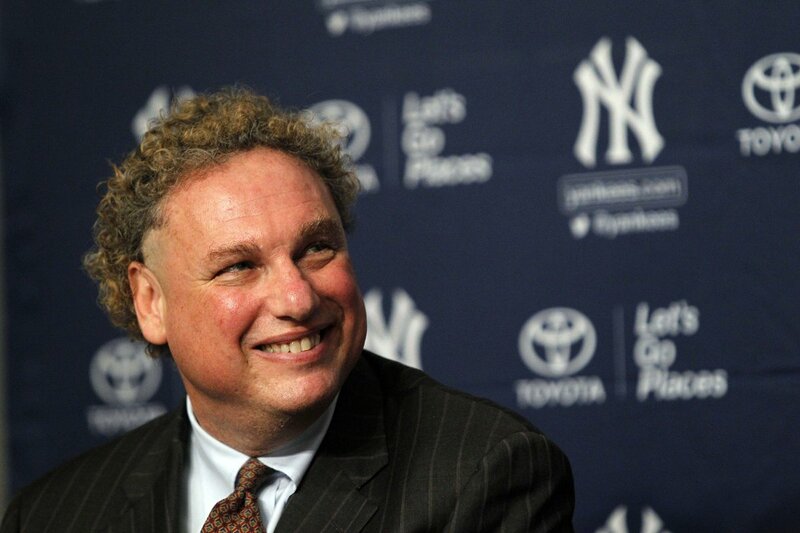 Yankee team president, Randy Levine showed the heart that has always been a part of the NY Yankees. It was brought to my attention that he sent four tickets to Christian Lopez, the fan that caught Derek Jeter’s 3000th hit. Christian told me how touched he was by the kind gesture. An act right out of the Boss’ bag of tricks—Way to go! This week I got to sit down with Yankees managing general partner, Hal Steinbrenner. Before we got into our question and answer period, we talked about the borough of the Bronx, we talked about children of the area and their participation in little league baseball. I was happy at the fact that Hal took pleasure in knowing that the kids of that area are being taken care of. 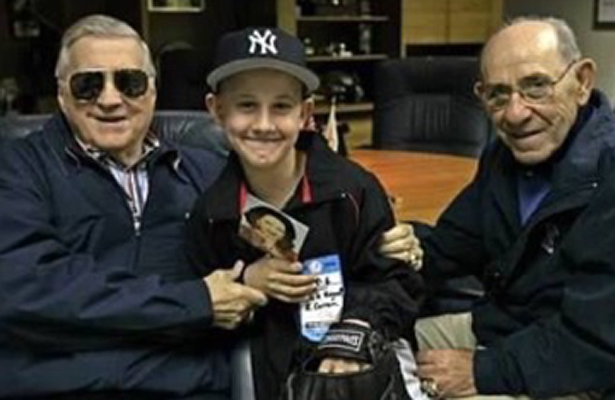 It showed me that the Steinbrenner family still cares as much for the less privileged as they do for their own beloved Yankees. I hope you enjoy this exclusive interview with Hal Steinbrenner. Ray Negron: Hal, what a season. The ballclub is doing things that a lot of people couldn’t dream could actually happen. Hal Steinbrenner: It’s been great. I didn’t expect to start out 1-4, Ray. That’s for sure. We had a good spring. We scored so many runs. The offense was good. Some question marks with the starting pitching, but they have done a great job. We have been firing on all cylinders. We just have to stay healthy. It’s a big part of it. RN: At the start of the season, everyone was talking about Gary Sanchez, Gary Sanchez, Gary Sanchez and he gets hurt. And then all you hear is Aaron Judge, Aaron Judge, Aaron Judge. What do you think about that? HS: He’s been great and he’s a great young man and a great teammate. He’s been great to the fans, from the stories I’ve heard and he’s going to be here for a long time. He’s going to have his ups and downs. He’s doing great, he made some changes during the off-season with his swing. He’s recognizing pitches well and obviously, hitting the ball hard. RN: People in management as well as fans are seeing a similarity between Aaron Judge and the guy you are honoring on Sunday, Derek Jeter. What’s your take on that? HS: Judge is a good leader and a great teammate. Derek is one of the best shortstops in the history of the game. Aaron has his whole career ahead of him. He’s off to a great start and that’s pretty good company. RN: You have Didi Gregorius down here in Florida. He’s been a real plus in the clubhouse with a lot of minor leaguers down here. What’s your take on what he’s doing? HS: He’s been an important part of our offense and defense and (Ronald) Torreyes has done a great job filling in for him. But we missed Didi in a number of ways. It’s been great to have him back and we need to keep him healthy. RN: Are you concerned at all about the starting pitching? It’s been incredible. Will that continue? HS: Your guess is as good as mine, but I feel better about it going into the season. That was the concern we all had. Will Severino come back and have a good year? How would CC do? Pinieda? Tanaka? And we had these young pitchers we had to figure out. Who was going to be the guy? Montgomery has been a real pleasant surprise. If we can stay healthy, there is no reason we can’t keep this going. RN: On my radio show Impact on ESPN Desportes, Brian Cashman said his relationship with you is through the roof. He says you guys talk everything out and it’s a big reason why you guys are where you are. How do you feel about that? HS: Well that’s great to hear. I think we have a good working relationship-over 25 years and we had our ups and downs like any two individuals who work closely every day. I struggle with the analytics, so I rely on him with his people, who are very strong on that. I love reading the pro scouting reports and talking to the scouts. There’s a lot of thought on his end, my end and all his people’s end on everything that’s done in the off-season, mid-season and during the season. RN: The Yankees keep on getting bigger and bigger in popularity. We all thought they were rebuilding and now they make this jump. Everyone wants to be a part of the Yankees. They are doing movies on the Yankees all the time. Siblings in the organization are ready to shoot a film call “Stano” and there’s a film called “Gerhig.” Does this ever end? HS: This goes back a very long time. My family has been a proud part of it, but just a part of it. It’s been a lot of years and a lot of great players who have come through the doors. And all the championships. I also think it’s a testament of how we conduct ourselves and the type of players we want to have. People of good character. We are very proud of this organization. RN: You go back to when you were seven years old over here. You saw all the guys of the past. You are honoring Derek Jeter and well deserved. But do you have any fond memories of Thurman Munson? HS: I do. I have a lot of memories of the ‘77 season. I was there. I have memories of the World Series when (Mike) Torrez caught the popup. I was down in the clubhouse afterward. What a gift that was. I also have a lot of memories of ’78, the game at Fenway. The tiebreaking game. A lot of memories early on. To be a part of it and my dad would share those experiences with me. RN: This season, we have to continue going back to it because of the calls. The biggest call we get is, “Will the club continue to play the way it is?” No one knows what will happen, but are you having fun? HS: We are having a great time. It’s been a few rough years. You know that. We had our share of injuries and not making the playoffs. We had our share of not having guys in the minor leagues, not being able to step up and fill in roles at the major-league level. We had a number of years of that. And now, all of a sudden, our player development system has a lot of good young players in it from top to bottom. A lot of the players we have been talking about like Judge, Sanchez and Bird are here and making contributions. They have been making big contributions and hopefully they will continue to do so. RN: I went to the soccer game in New York (NYCFC). They are drawing well the fans are having a good time and it’s a whole different demographic. Tell me about that. HS: It’s great. I have been to a few games too. Hopefully they get few days of good weather. The weather hasn’t been so good but the fans keep coming out. We are trying to get more Millennials interested in baseball. We have done what a lot of stadiums have done with these social gathering spots and enhancements. More and more I think people will think that it’s a good place to watch a baseball game and it’s more than what goes on in the field. As far as the soccer goes, the crowds have been great. They are chanting and singing. It’s a different experience and soccer is a much different game. I’ve been I enjoyed it–I’ve been to two so far this year. HS: Baseball, Ray, of course. But baseball is business and if I have non-business sport it would probably be football. I’ve been a Vikings fan my entire life. RN: Hal, can you honestly say to the fans, this is your thing now. You love being the managing general partner of the New York Yankees. 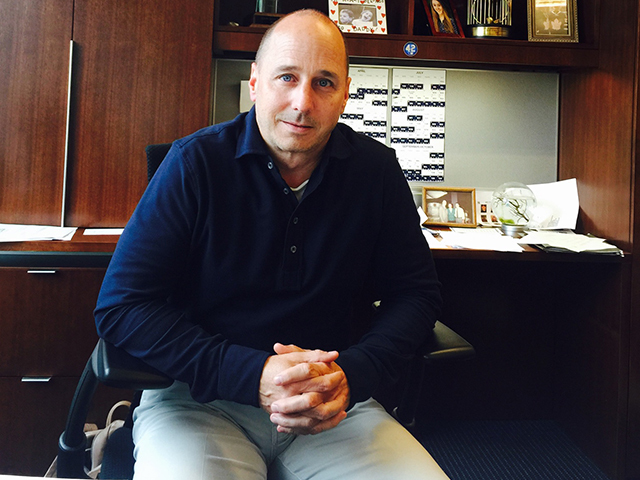 This week I spoke with long time NY Yankees General Manager Brian Cashman. This was supposed to be a year of rebuilding, however today we find the Yankees in first place in the American League east. Last week team president Randy Levine praised Cashman and his staff on my ESPN radio show and also in my column that is published on Newsmax. Here is the brief question and answer session with Cashman and his take on the 2017 season. Negron: Brian How do you feel about what is happening? Cashman: I sleep better at night. The players are doing their job and playing great and we are winning games so all things are good. Negron: I just came back from all the Little League openings in the city and all the parents were talking about the great comeback last night. What are your feelings about that great comeback game against the Orioles? Cashman: It was a special game. Who would have predicted down 9-1, down 11-4, and have that type of comeback. These are special moments. Everybody here watching, that’s a memory you’re going to have for a long time. Hopefully all those kids you were talking about are running around practicing their swing, pretending they are Gary Sanchez or Holliday (Matt) , or Judge (Aaron) or Starlin Castro. Negron: At the beginning of the season when they were taking the polls at ESPN and NY Sportsday my prediction was that the Yankees were going to take the division and everybody laughed at me. What is your reaction to those predictions? Cashman: Guess we will have to find out in the next five months. We go five more months banging it out, try and stay healthy and we will see where we stand when the dust settles. Obviously our dream is to win the division and get an automatic bid in the postseason, if not the division, the wild card. This team is capable of a lot of good stuff. Most important thing is to take care of one day at a time. Negron: You sit behind home plate with your baseball people at spring training. I see you everyday at every game. Your guys sit there taking notes. Is this ballclub over achieving after starting the season winning one of your first five games and getting off to such a great start? Cashman: No, we are not over achieving. We are playing good baseball. We got out of the gate poorly. And obviously the last three weeks were more representative of how we played in March. This has been a good two months. Our guys feel good about each other, their game, the results they have been following. We just want to keep riding that positive wave. Negron: Let me ask you about the pitching. How do you feel about the starting pitching now? Cashman: Its been great- Our starters didn’t look good in the spring. We won a lot of games in the spring because of our offense. After that first week of the season it’s been just tremendous and one of the big reasons why we are where we are at. Negron: They are talking about doing a major motion picture in New York City this year, a baseball story about a kid from the Bronx who needs a second chance in order to start his life again. The name of the movie is called Stano, being done by the same people who produced Rocky. There is talk about you doing a cameo. Are you going to do it? Negron: Ladies and gentleman you heard it here first –The next Al Pacino is the Yankees general manager Mr. Brian Cashman. Thank you so much. 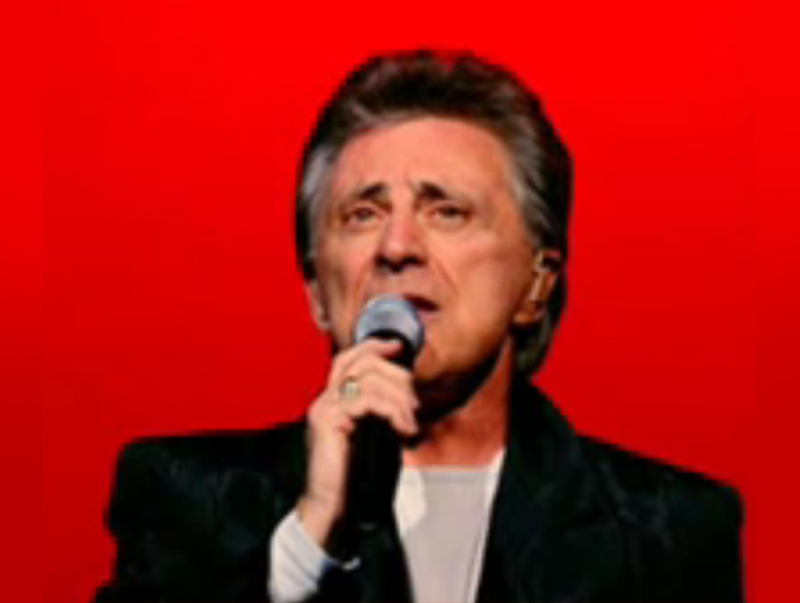 Negron: Happy Birthday Frankie Valli! 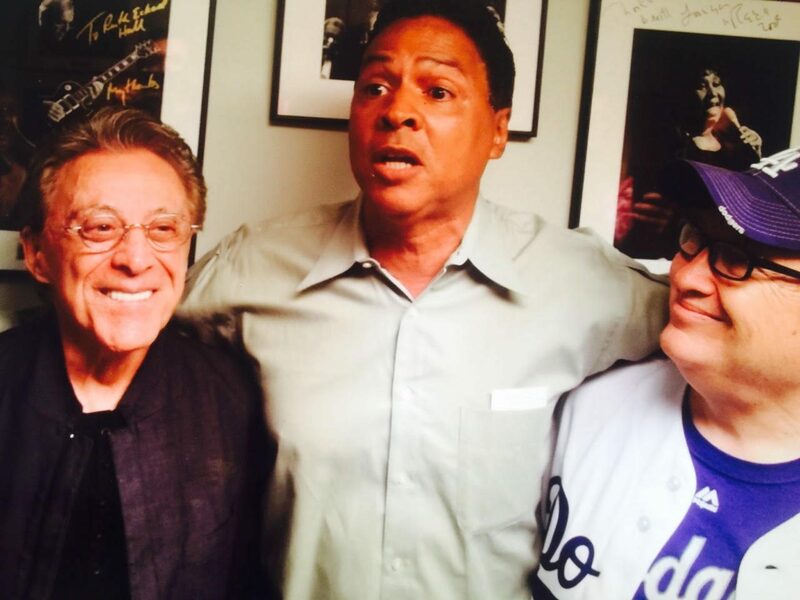 I want to wish a very happy birthday to my dear friend, Mr. Frankie Valli. Today Frankie is 83 years old and he is still performing better than ever. Frankie has always been a person that has been great to me and my friends. He is truly my generation’s Sinatra. Frankie has always shown his kindness to people not associated with the arts, yet people around the arts always feel like a big deal when Frankie is around. I won’t forget being at a function where there were many big stars there, including Frankie. All of a sudden Paul McCartney walked into the room and the minute he spotted Mr. Valli, he went up to him, put his arm around him, wished him well and started to sing “Sherry.” If that doesn’t tell you, how big Frankie really is, then nothing does. Frankie has always been a hero to me and a lot of my friends. To say that I have probably been to 200 of his shows in my lifetime is an understatement. There are (at least) two things that will always be special to me about Frankie. First, when he was on Broadway and his show was sold out, I bought tickets from a scalper. When Frankie found out, he got upset with me, because he said, “no matter what, you never pay at my show.” And, last year, when I couldn’t attend his show, but my son Ricky went, Frankie spent most of his time babysitting Ricky, despite many of Frankie’s friends being there to see him. That’s just who Frankie Valli is — one of the really good guys that I have known in my life of sports and entertainment. You’re just too good to be true! Just like an incredible movie, the story of the Yankees is a classic. If the film was The Godfather, then naturally George Steinbrenner would be Don Vito Corelone, who was played by Marlon Brando – probably the greatest actor of all time. And naturally, Tom Hagen, the consigliere – played by Robert Duvall – would be Yankees president Randy Levine. I’ve known Randy for a very long time and can honestly say when it comes to his work in protecting the Yankee brand, he is powerful and energetic. Like the character in The Godfather, Randy is loyal to a fault, has a big heart and is someone who has always been there for the less privileged, as his work in hospitals around the country has proven. I understand why The Boss handpicked this man to help lead the Yankee empire and I always find it exciting whenever I can help him in different team projects. Ray Negron: How are the Yankees doing this? I just came back from a little league event and the parents are all excited. They are excited about what happened in the game. This team is exciting. Is it real? Randy Levine: So far it’s real. We have a lot of confidence in our organization. Cash (Brian Cashman) and the baseball operations people have done a very good job in turning it over here. Our fans love these young players. It’s still early, but you see the excitement and the promise and we can have a really very exciting summer. RN: What keeps the brand so high, Randy? What is the story behind that. RL: Well the Yankees are about tradition and winning. We wear the same uniform. We have forever. We maintain the same quality. We only do business in a way that enhances the brand and makes it consistent with our history and precedent, the way “The Boss” would have wanted. Unlike a lot of other teams, which is so-far heartening to me, we don’t have time to rebuild here in New York with the Yankees. We are able to do this while being competitive. Although we missed the playoffs the last couple of years, we are always competitive. We have winning seasons and so far, it looks like we could be into something special for many years to come. RN: After the passing of the great George Steinbrenner, it seems that you always keep his name alive. He seems that he is always with us and like he’s right here in the room with you. What’s the deal with that Randy? RL: Because he is. He left his legacy. He left his blueprint. 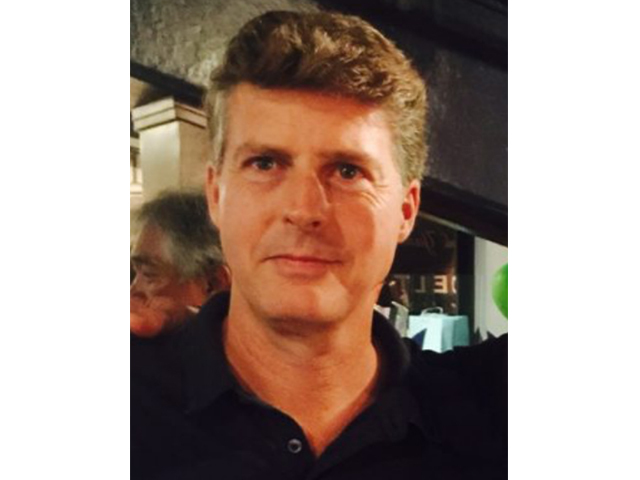 His family, Hal Steinbrenner, his son, is the managing general partner. He created the blueprint and the formula for how the Yankee organization should win and how the Yankee organization should put its face forward. He didn’t invent it. This goes back to the founders of the Yankees and all the great owners before The Boss. He took it to a different level. In everything I do and everything his family and Hal does is that we always try to do what the Boss would have done. RN: Why are the Yankees so important to you personally, Randy? RL: Well, I have been a Yankee fan my whole life. I live in New York City. I’m a life-long New Yorker. I see what the Yankees mean to people. I know what they represent. I know a lot of people have good days or bad days based on how the Yankees do. That’s the great thing about baseball. There’s no clock. It goes for six months. It’s something people can watch and accompany them all the way from the spring and into the fall. The Yankees do so many meaningful things off the field. We help people. We give them opportunities. We help people in need. We help young people. To be involved in an organization that has such a powerful role in shaping people’s lives and helping people is very gratifying. RN: You have shown your love for this organization for a very long time. Would you ever leave? RL: I am healthy. Feel good. So, I have no plans to leave. Some people may be booing that right now, but that’s the way it goes. I plan on being here for a long time. God willing.